Joe Lubman has been playing and teaching in the Richmond area professionally for the past 10 years. He graduated from Virginia Commonwealth University with a Bachelors in Drumset Performance in 2012. In 2013, he started a non-profit organization called "The Universal Room," which is a percussion based class that has been held in a wide variety of settings, including churches, schools for autism, business meetings, and drug rehabilitation facilities. 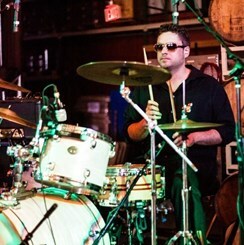 Musically, his main focus is on jazz, Latin, rock, and funk, though he is able to teach all styles on the drumset. Joe's main philosophy of teaching is to incorporate the fundamentals while also keeping it fun!